Used by permission of the artists and the University of MN School of Music. 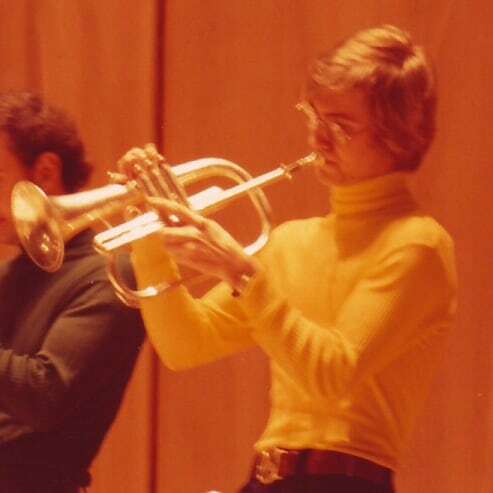 The trumpet was my primary instrument, and I studied it for a dozen years, getting as far as the Three Bs of the repertoire—Haydn, Hummel and Hindemith—and playing principal trumpet in the Billings Symphony for a couple of years. 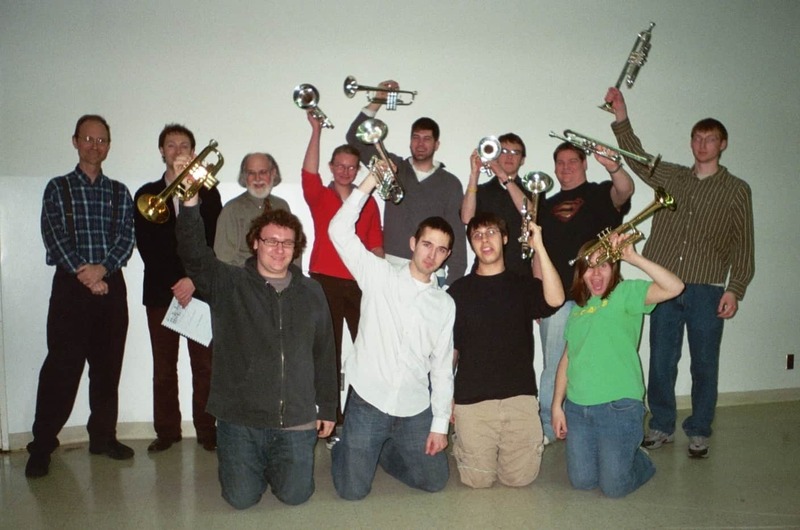 Truth to tell, I didn’t have the nerve or the physical equipment for the trumpet’s heraldic role (and at the Last Judgment, mere lyricism won’t raise the incorruptible dead). But Dryden’s “loud clangor” is just one of the instrument’s many moods. The trumpet can also arouse and inspire, grieve and jest. Lyric Preludes seeks to sketch a more rounded personality. It’s a song cycle—or a holiday redeemed from thousands of frequent-flier hours of long tones and “Leonore” calls. With Chopin’s Préludes as a model, I’ve paired a major key with its relative minor. But these preludes move softly down a descending ladder of thirds, and flat-wise around the circle of fifths, a pattern favored by Liszt in the Transcendental Etudes. Since the notion of key is, well… key, the pieces are frankly tonal, though freely and not academically so. 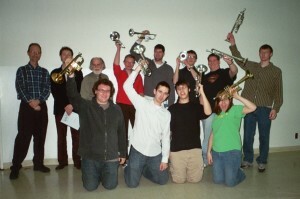 To enhance the pedagogy, various aspects of the trumpeter’s stock-in-trade are explored: double-tonguing, lip slurs, extremes of soft and loud, low and high. David Baldwin further widens the spectrum by embracing the trumpet’s kin—cornet and fluegelhorn—and by using every mute in his bag, including harmon, bucket, and the recently invented Clear-tone® and Sotto voce® mutes. The piano is an equal partner throughout, providing timbral relief as well as crucial moments of rest needed for blood to return to the chops. While there are a few notable links between pieces (the Improvisation to the Nocturne; the return of the Prelude tune in the Finale), each piece deals with a characteristic style or musical idea, and most stand on their own. Thanks to Phil Norris, who played through the set with me and offered helpful ideas. Tim Lovelace, as ever, works magic at the keyboard, and I am grateful to David Baldwin, a player I have admired for many years, who has made the piece his own with his virtuosity and creative enthusiasm.